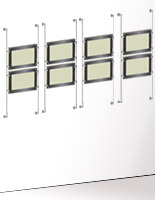 11 x 17 Wall Sign Hardware | Showcase Signage with Illumination! 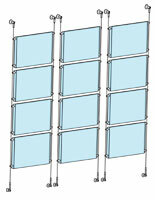 Is this 11x17 wall sign hardware effective at creative ambiance in a gallery or storefront? 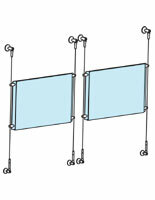 The stainless steel cable system provides a strong hold so suspending signs is easy and safe. 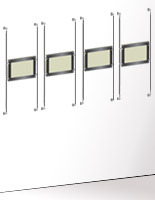 This 11x17 wall sign hardware for gallery and store front features a contemporary design that is both eye-catching and cost-saving! 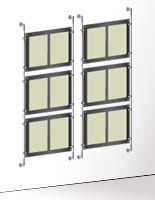 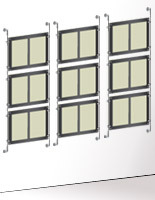 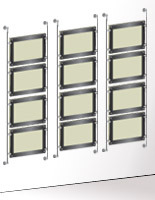 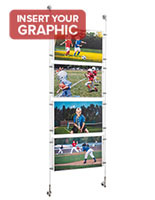 Choose from an array of frames with single, dual, and tri-graphic illuminated panels and various column/matrix configurations. 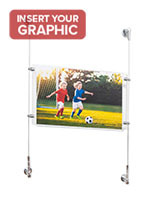 This 11 x 7 wall sign hardware, also known as a picture hanging systems, comes with stainless steel cables that require little to no maintenance and offer a secure hold. 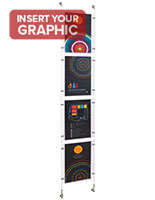 Displays such as these grab attention the minute a customer walks in to enjoy the glowing light. 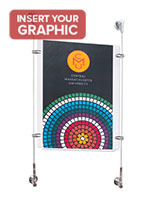 This beautiful lighbox system anchors any visual presentation securely with stainless steel cable wire . 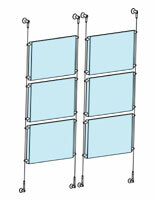 Included in this kit are satin enclosures with black beveling edges that surround a clear acrylic panel with a slim profile. 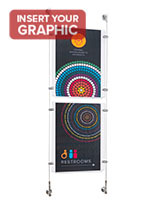 This lightweight unit is easy to switch out with new posters or signage, making it a favor of boutique and gallery owners as well as hoteliers and restaurateers! 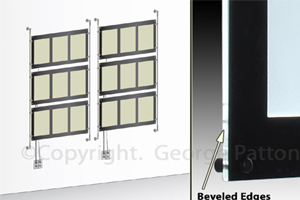 Buy a pre-designed kit or make a custom presentation all your own by combining systems! 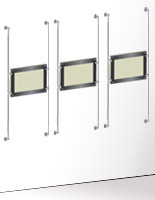 This sign hardware hold a visual appeal that is truly unique with their decidedly contemporary appearance. 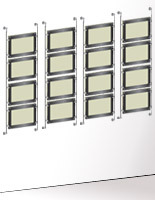 Advertising has never been so easy! 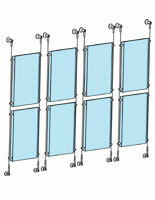 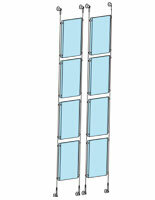 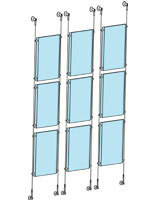 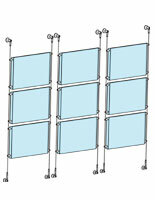 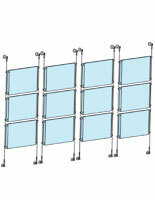 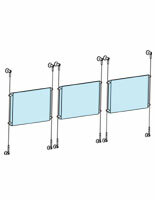 Purchase picture hanging systems that is a signage anchor for your merchandise. 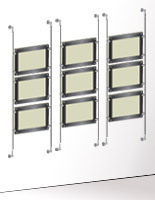 Wires of stainless steel for wall sign hardware are essential to support great light fixtures. 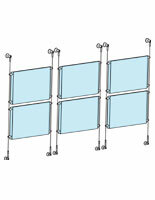 These picture hanging systems, also known as light boxes, will be among your favorite purchases! 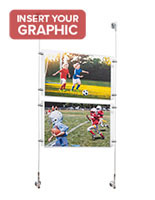 A display such as this stunning set of fixtures with wire suspension create an appealing ambiance in an art or photo gallery, museum, jewelry store, real estate office, or any other professional venue in which visuals are important. 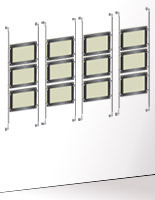 The design of this wall sign hardware is meant to display higher end items, or to create a soothing mood in which décor, merchandise, and messaging are clear and viewable. 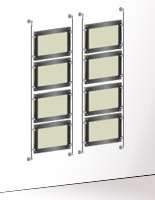 Everything to mount these systems is in the kit shipped to you by this reputable website. 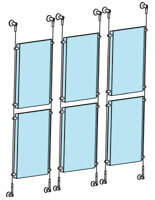 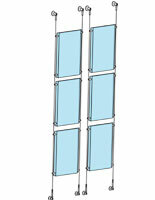 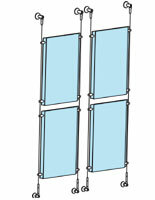 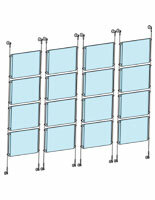 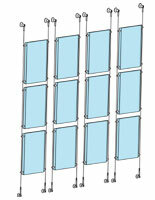 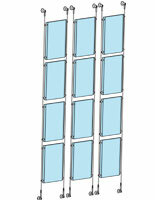 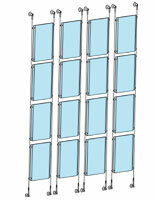 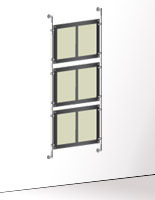 The acrylic panels have a thin profile that help these units to be very lightweight. 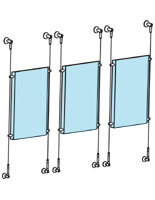 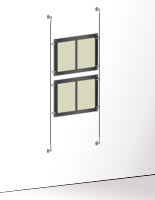 What venues are these picture hanging systems most appropriate for? 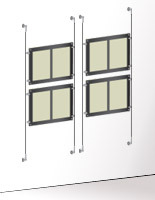 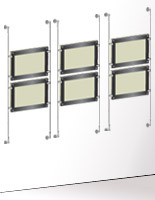 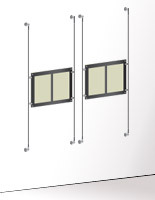 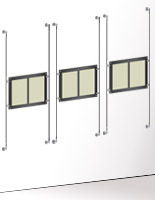 The 11 x 17 wall sign hardware comes in three configurations for myriad commercial scenarios. 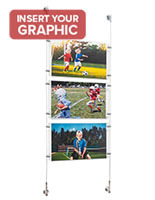 Upgrade an interior easily ands really pack a punch for your brand by purchasing these lightboxes that highlight signage and products with a beautiful glow. 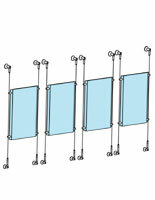 Mounting involves no guesswork because all the pieces for these 11 x 17 wall sign anchors are included in shipment! 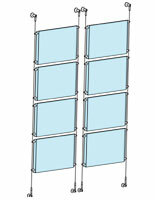 The stainless steel wires offer a unique suspension method that is both secure and low-profile, which is preferred over the bulky designs of yesterday. 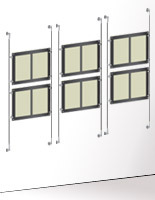 If you’re ready to experience friendly service and the benefits of high quality merchandise and shipping procedures , do call SignStandoffs.com today at 1-800-572-2194, or order sign hardware directly from the reputable website! 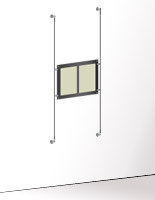 Nothing anchors a storefront or gallery space anchors an exhibit like beautiful lighting - not to mention you’ll save due to the energy efficiency of LED lights over conventional neon ones. 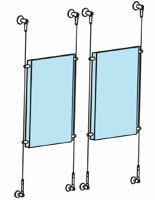 Order 11 x 17 wall sign anchors by 2 p.m. EST during business hours. 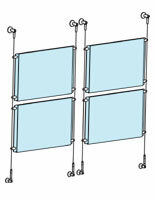 These supplies offer durable suspension for beautifully designed hardware and they are not that expensive! 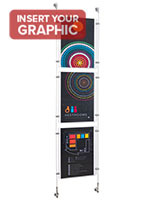 Servicing companies since 1974, this #1 in USA website is your go-to for all things storefront displays!